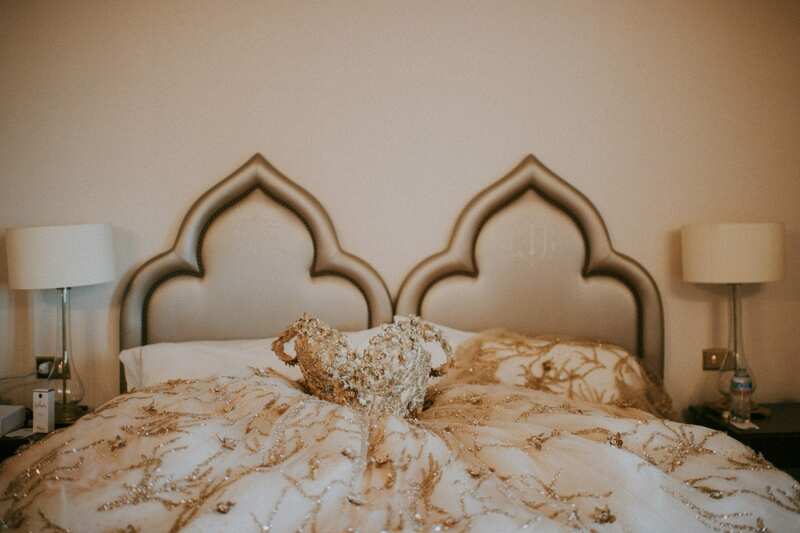 Tuqburni | Arabic meaning: you bury me | A love so deep you can’t imagine life without your partner. 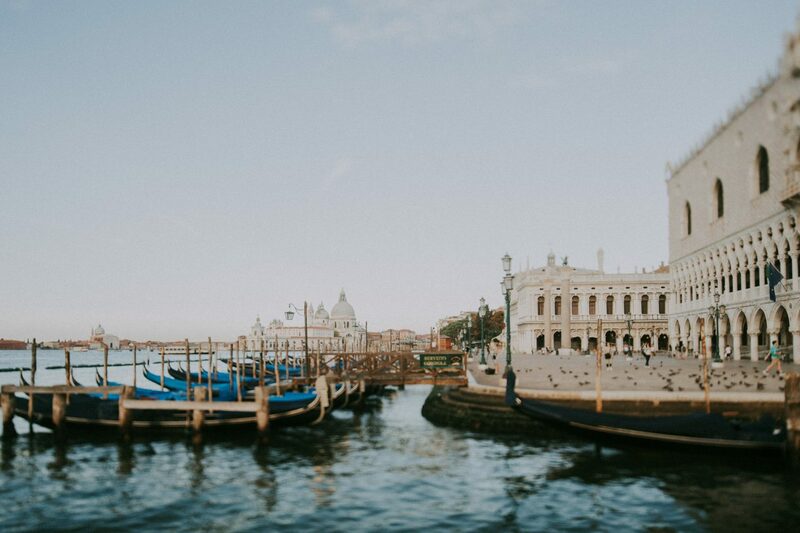 This magical island is one of those places where you could spend an entire lifetime. 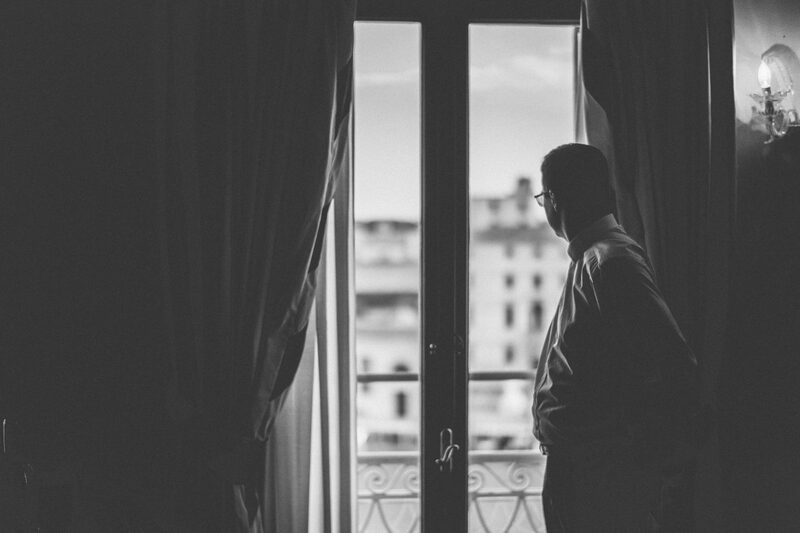 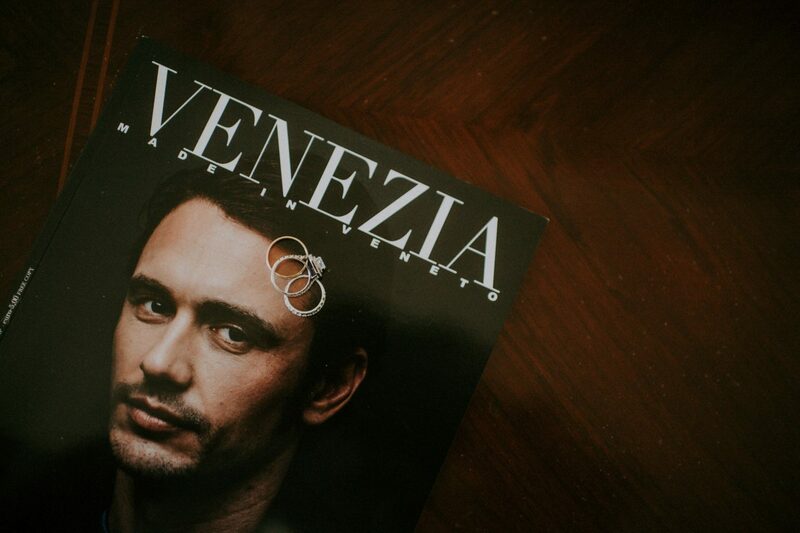 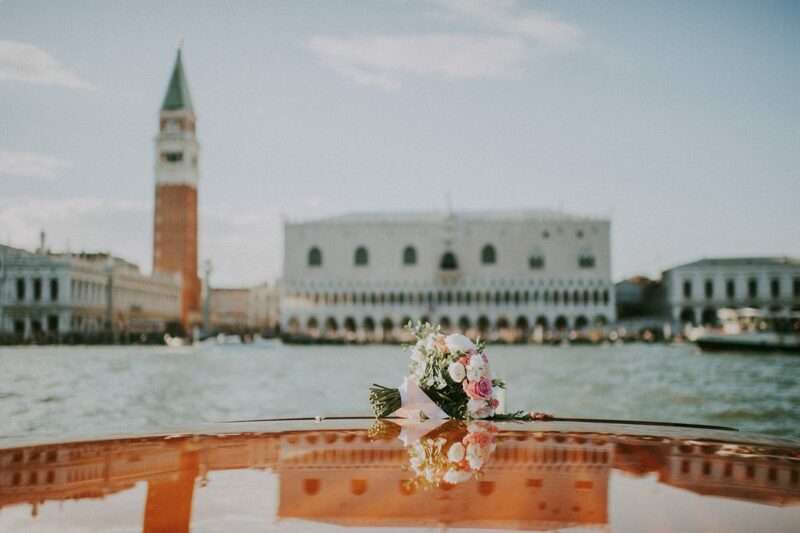 The view of the most famous and romantic attractions are never enough! 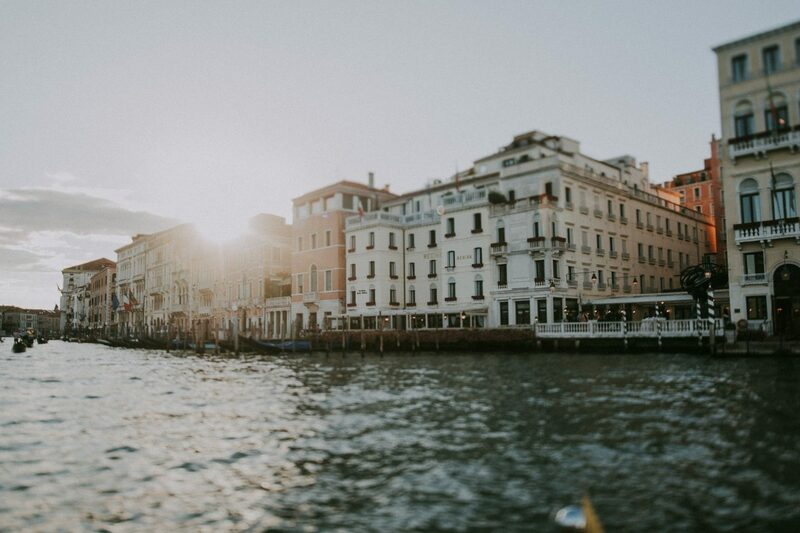 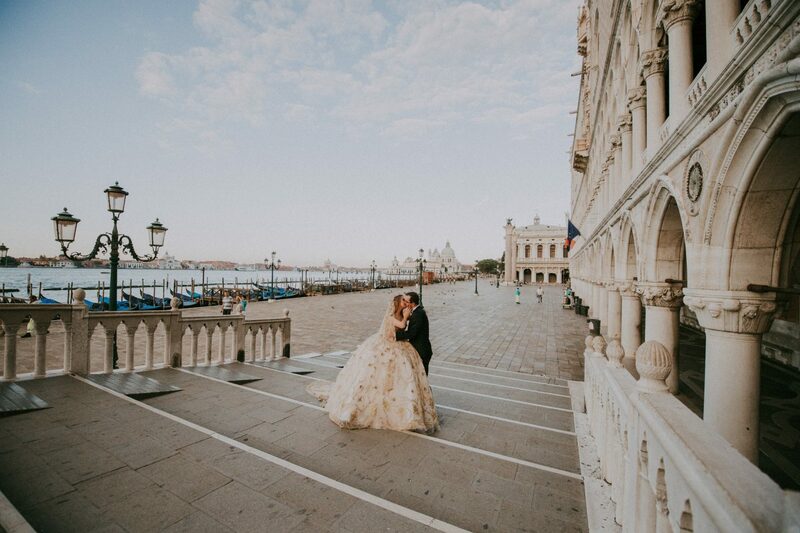 What could be more pleasing than taking a walk with the love of your life in San Marco or enjoying a sunrise beside Doge’s Palace? 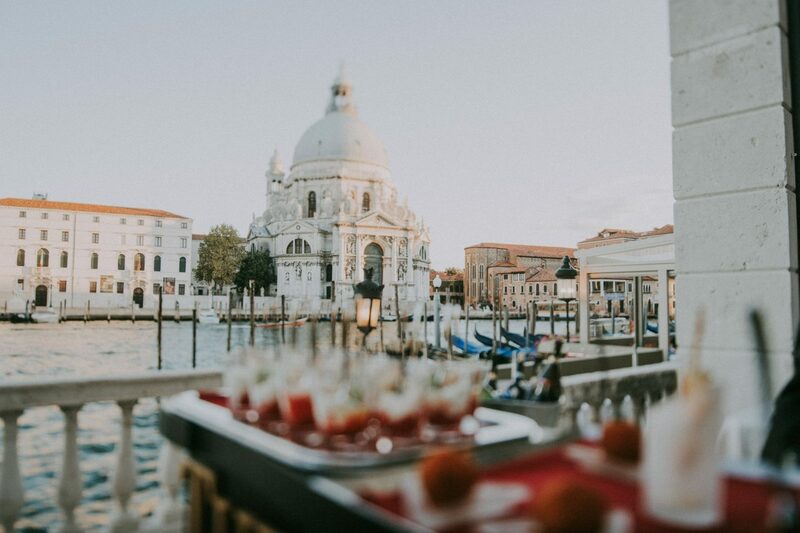 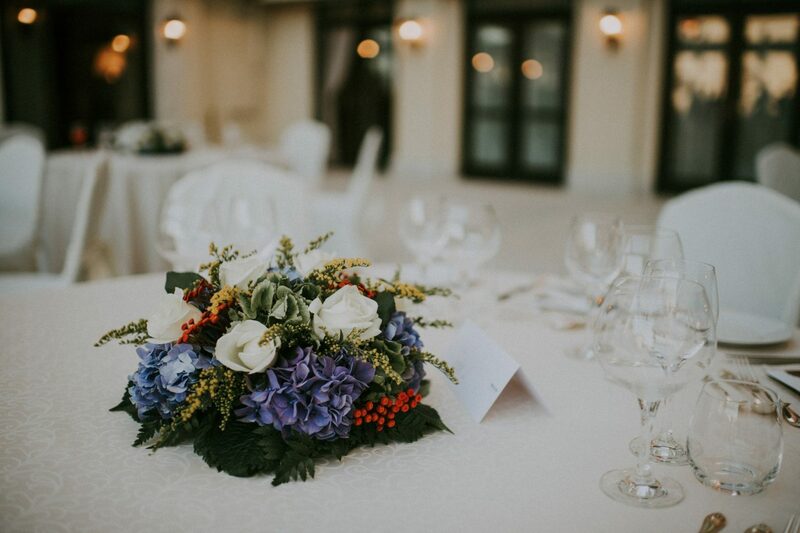 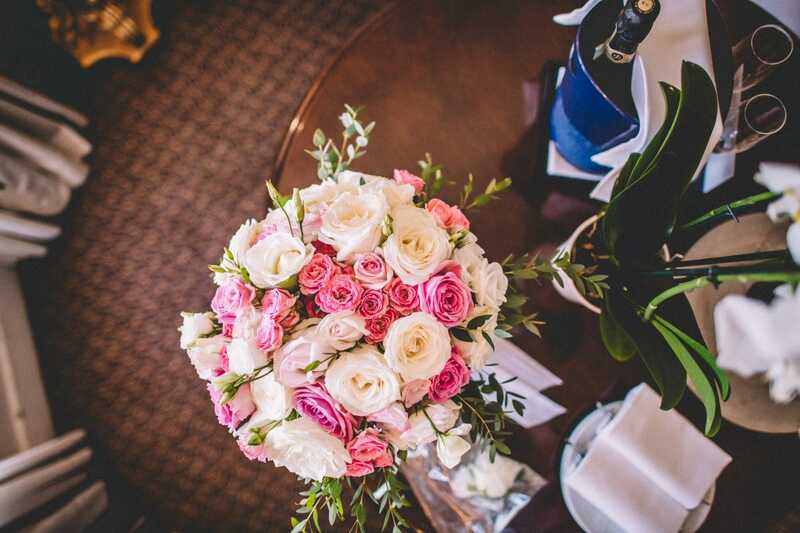 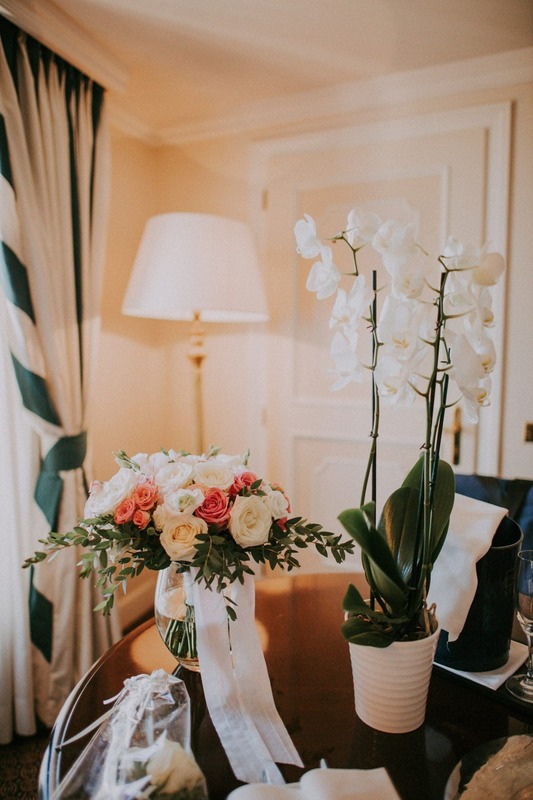 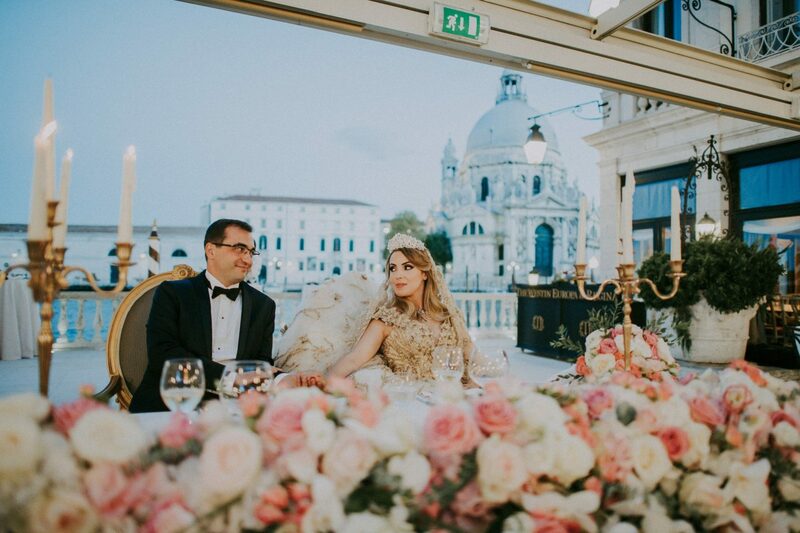 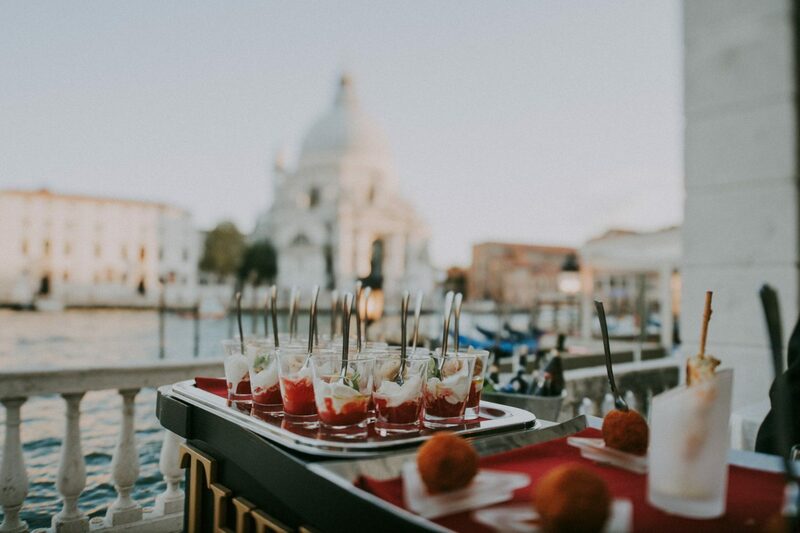 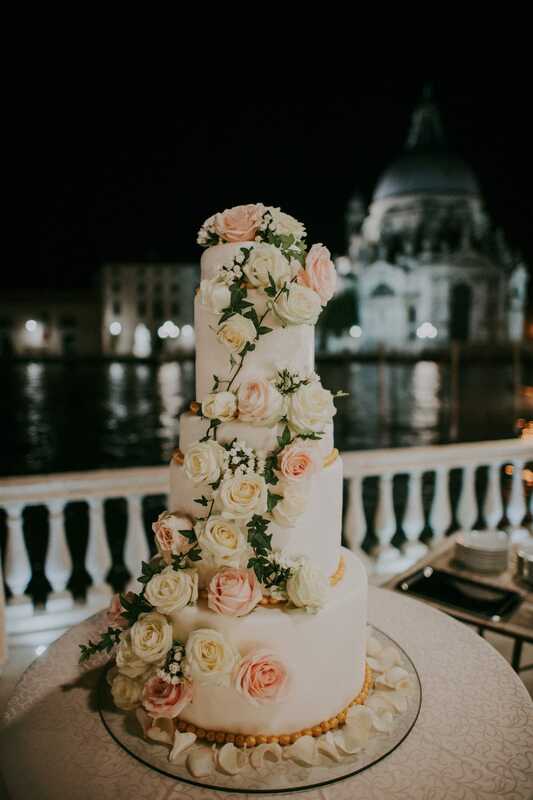 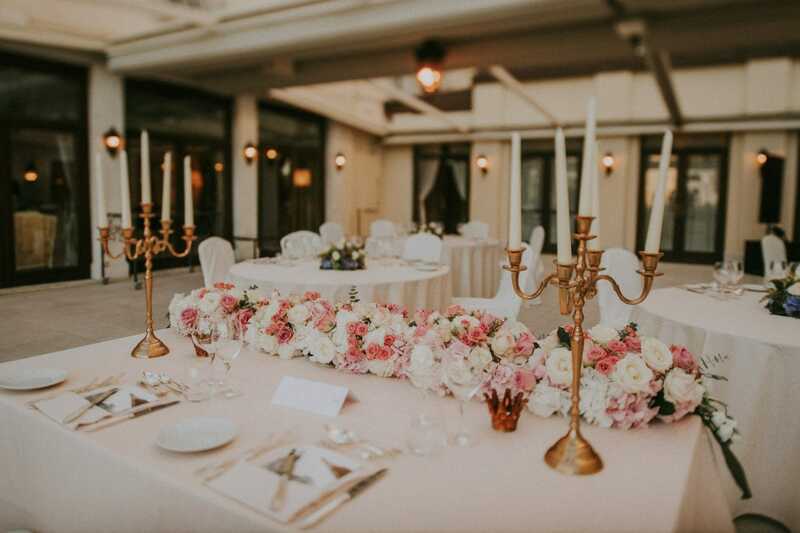 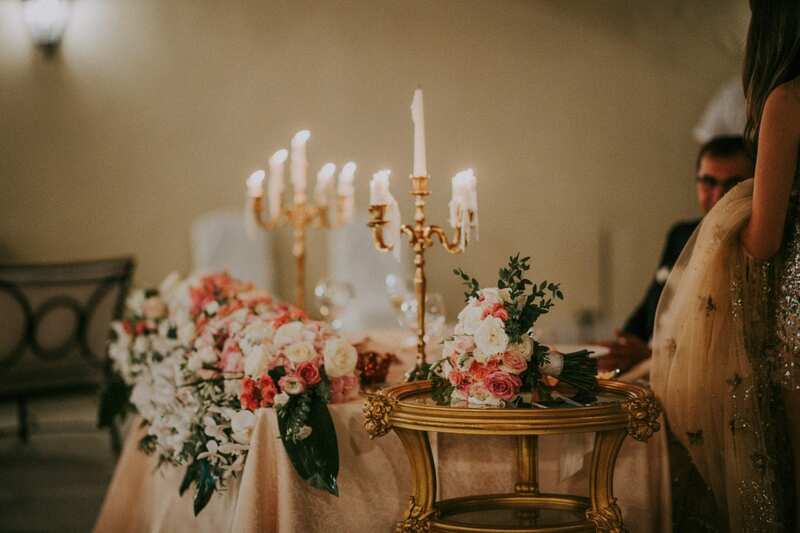 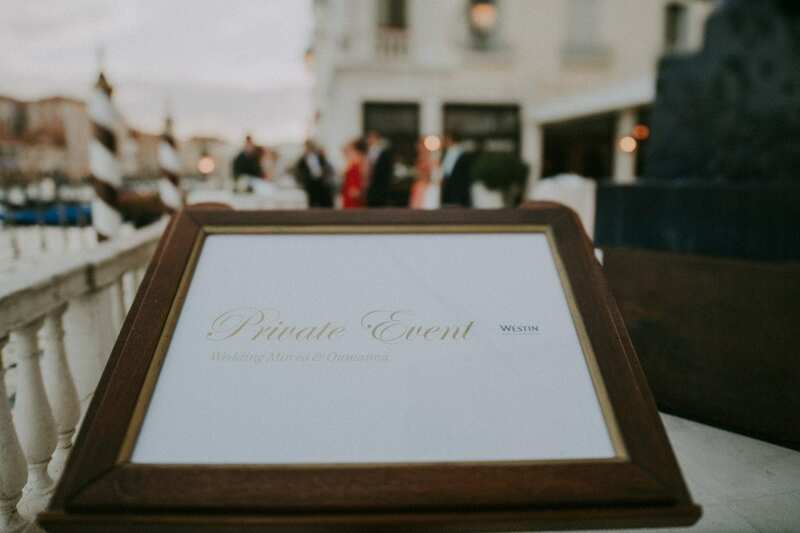 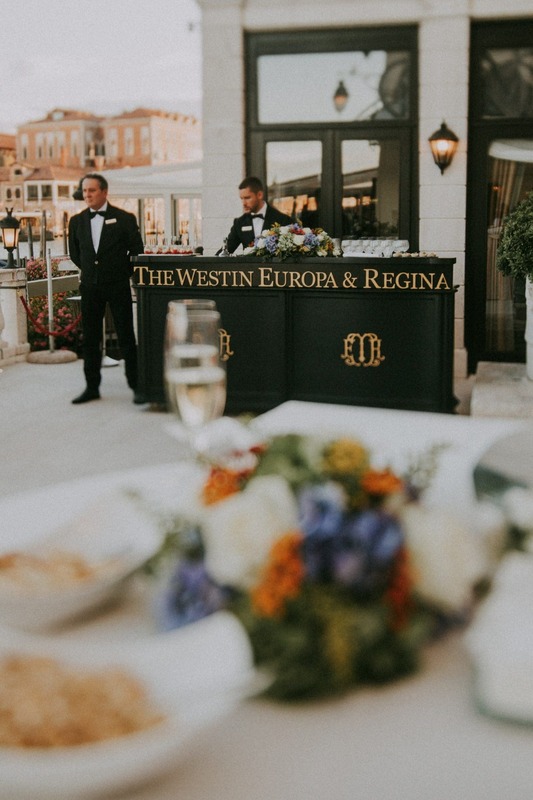 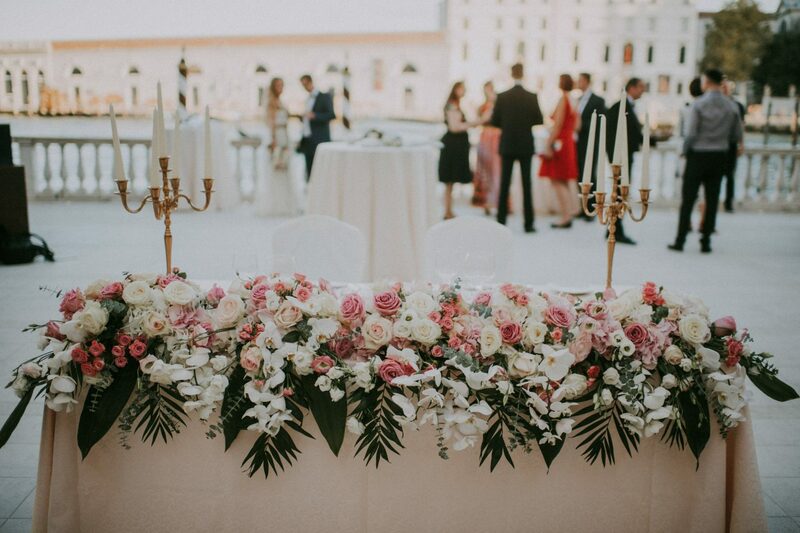 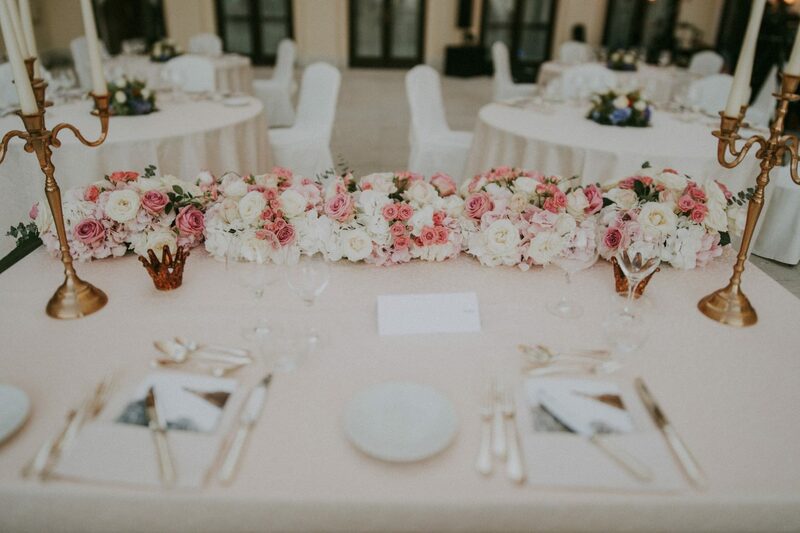 This Tunisian – Romanian couple decided to celebrate their love here: at The Westin Europa and Regina’s terrace, on the Grand Canal just in front of the Salute’s Church. 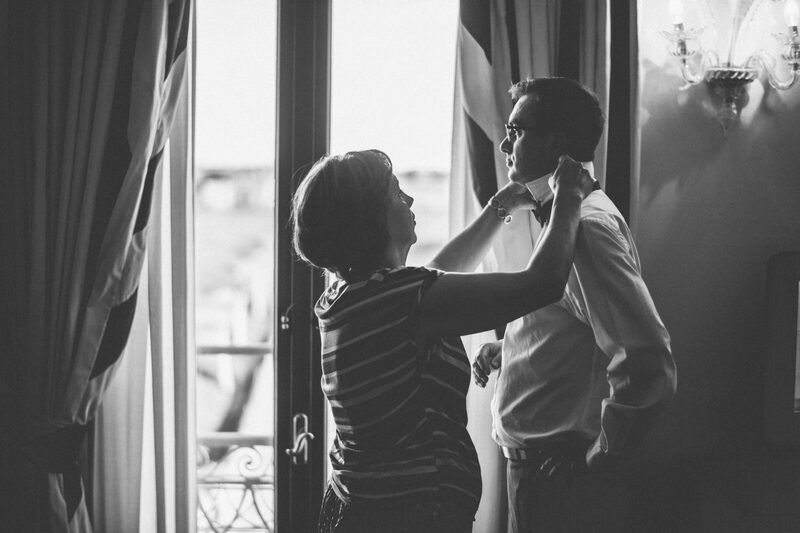 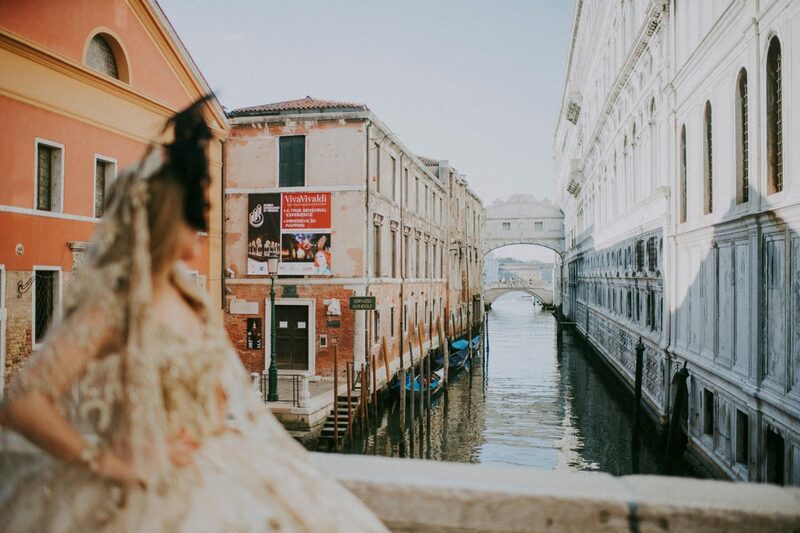 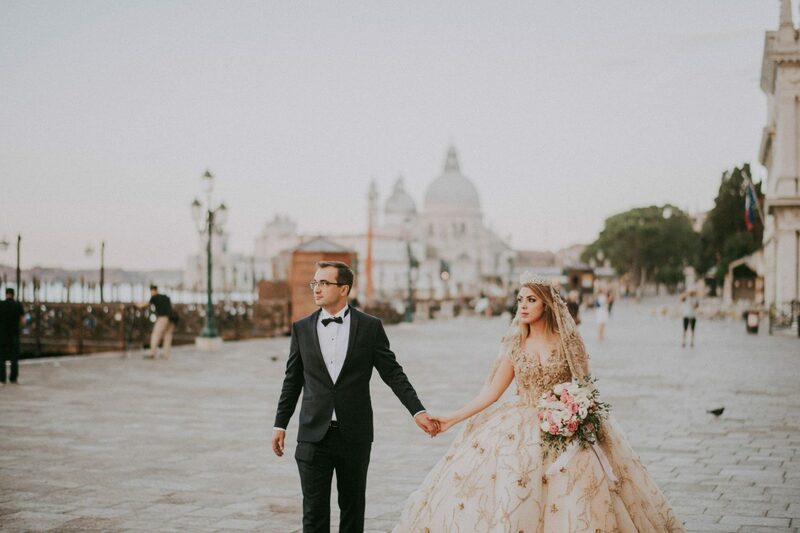 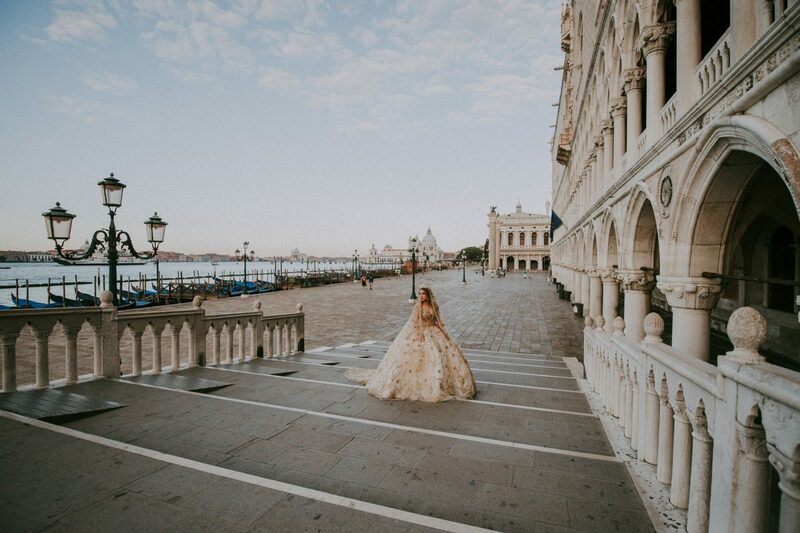 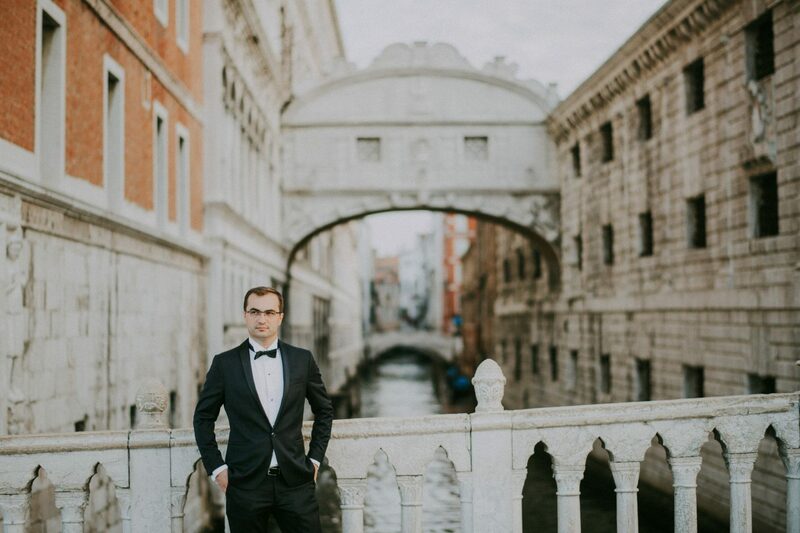 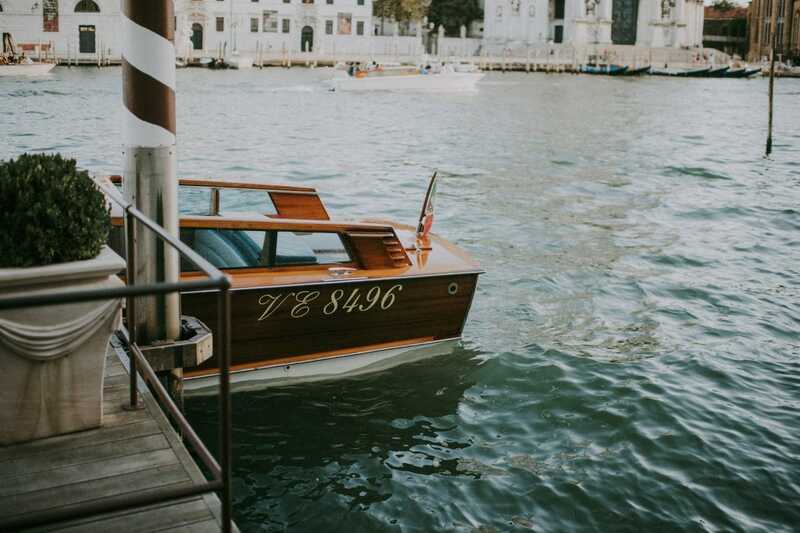 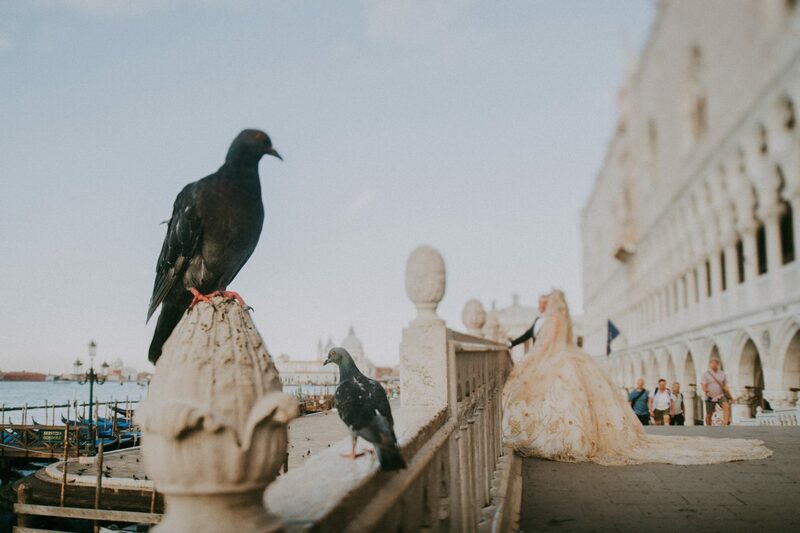 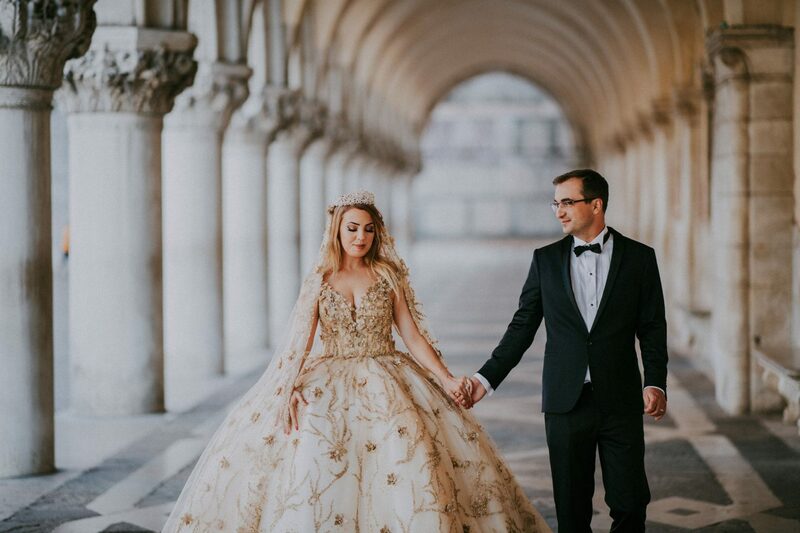 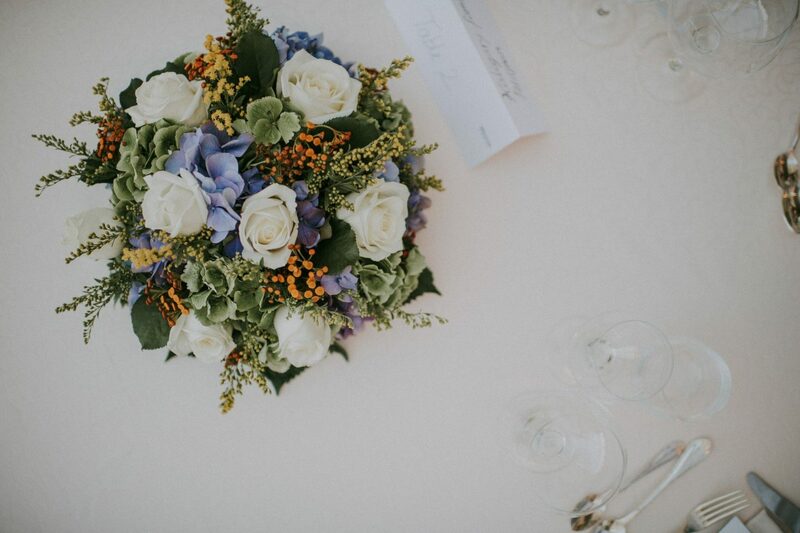 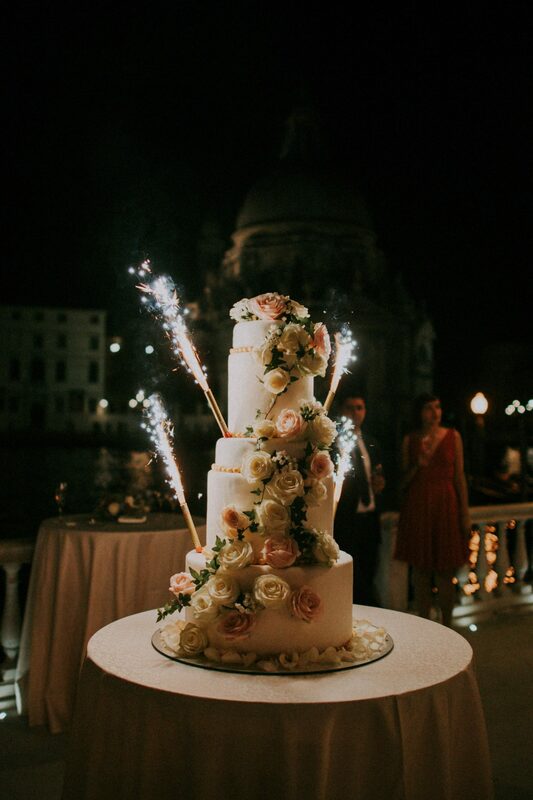 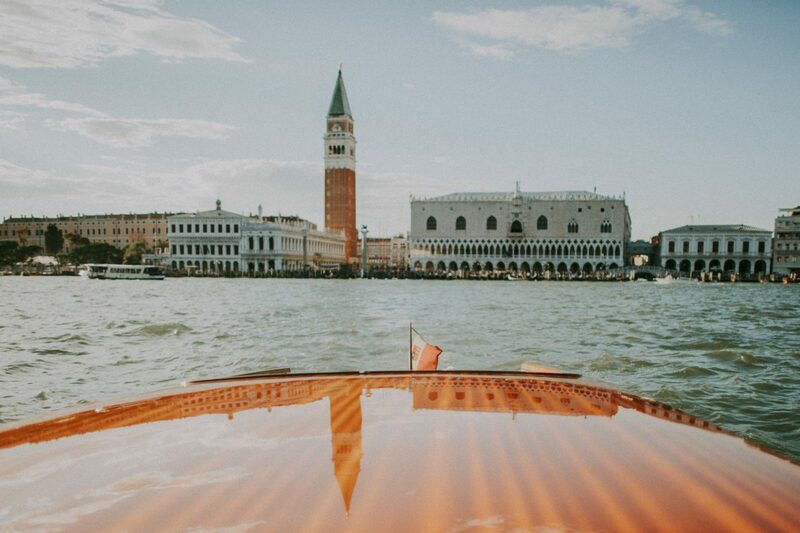 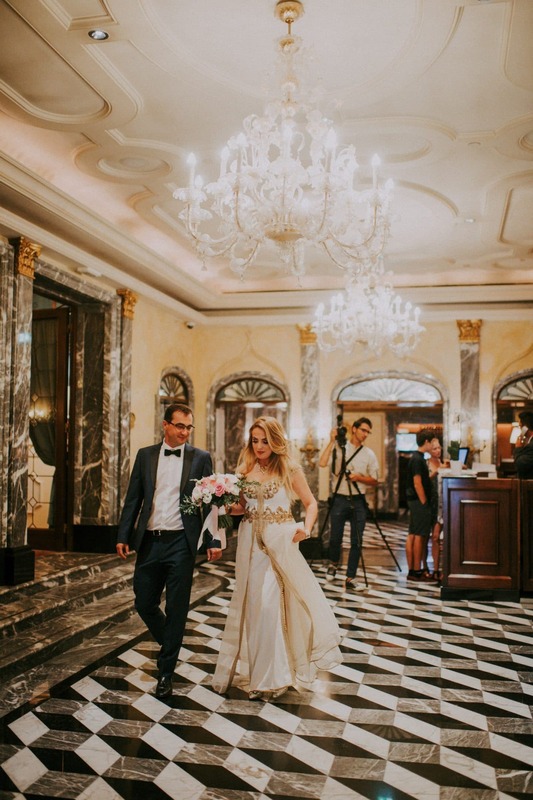 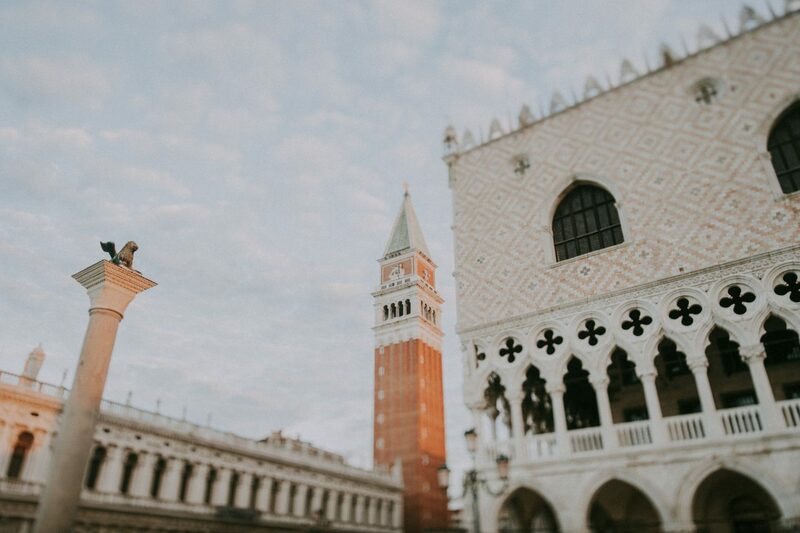 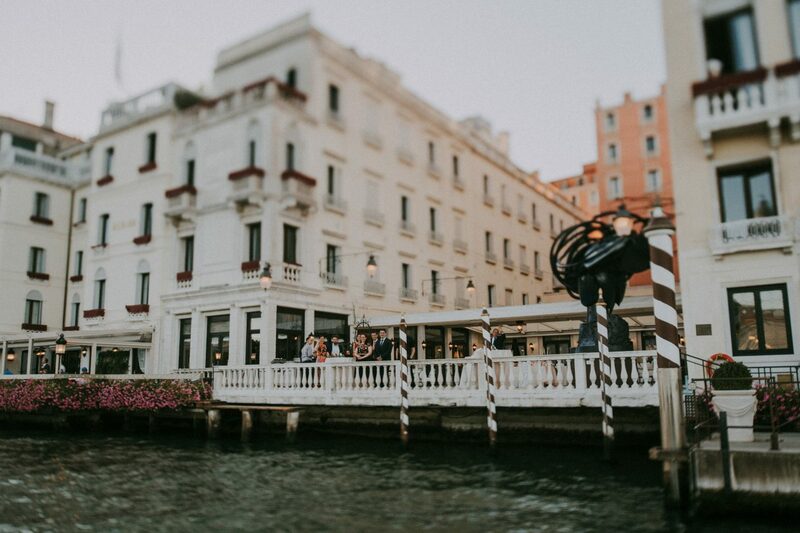 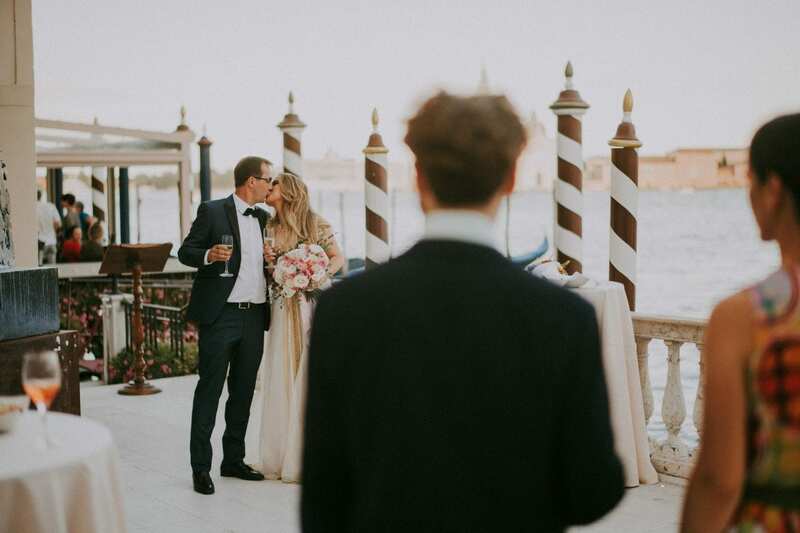 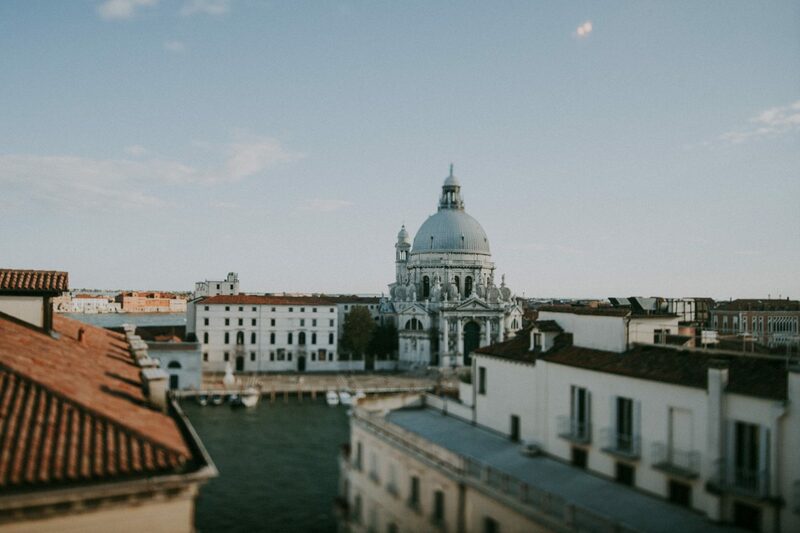 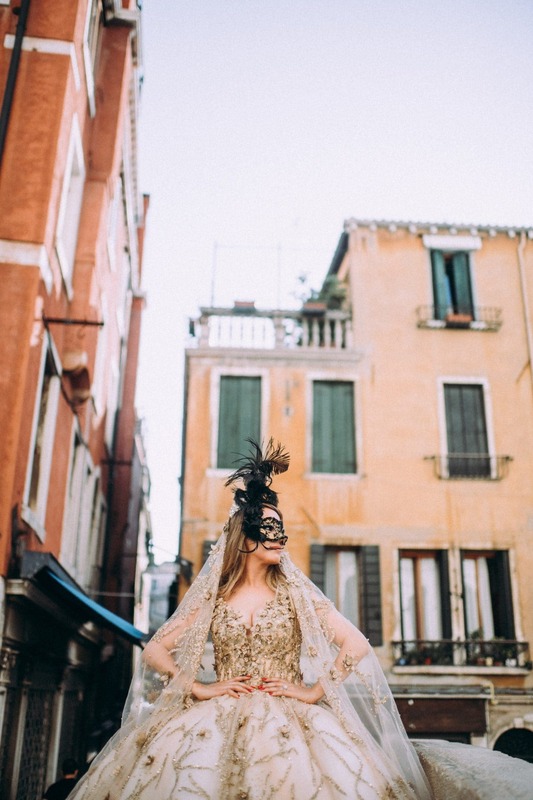 Beside the talented videographer @Daniele Donati, we had the pleasure to portray this gorgeous couple on San Giorgio island, with the bell tower and Piazza San Marco in the background. 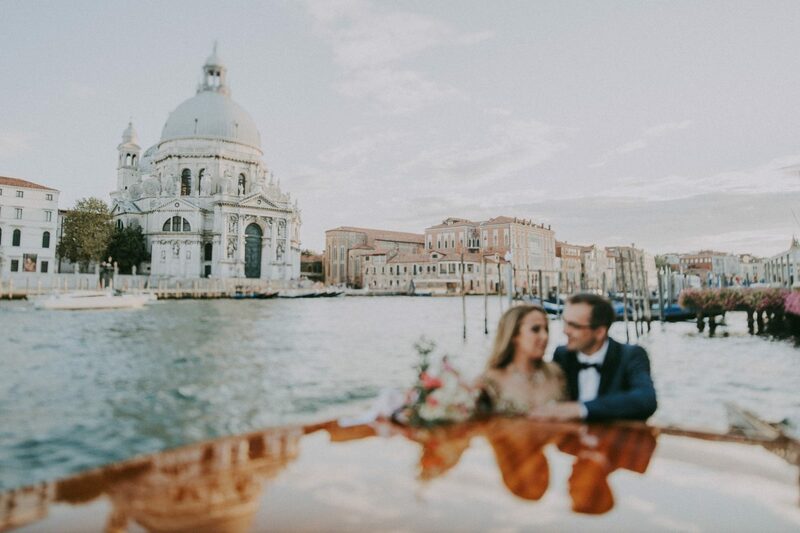 In between, many lovely candid shots, while the couple enjoyed the charming view of the lagoon city on the boat. 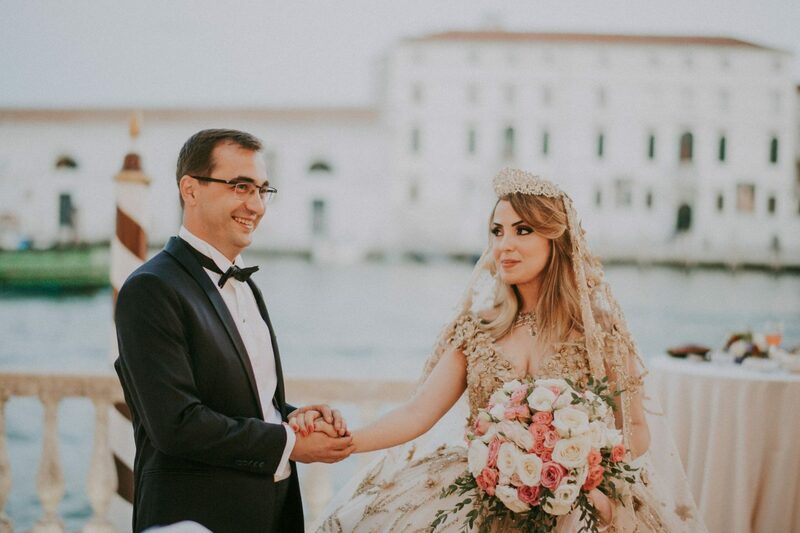 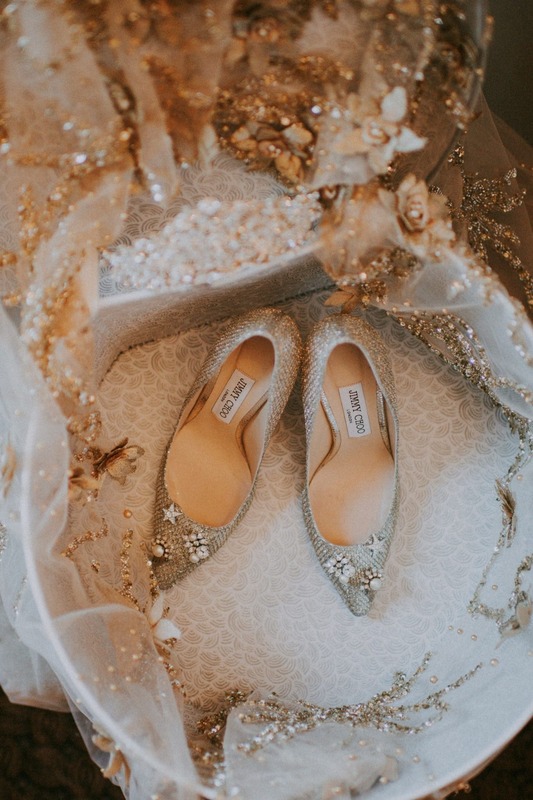 Before exchanging the rings in front of their families and a few friends, Oumaima left for a while to change the outfit. 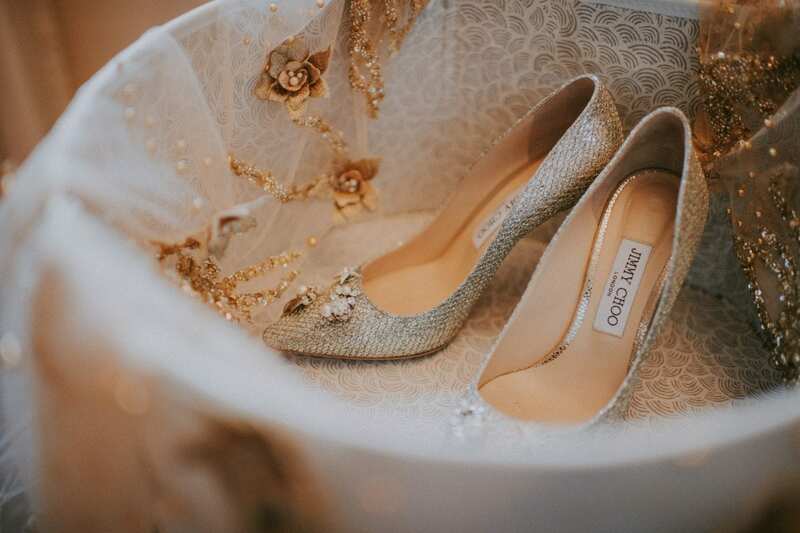 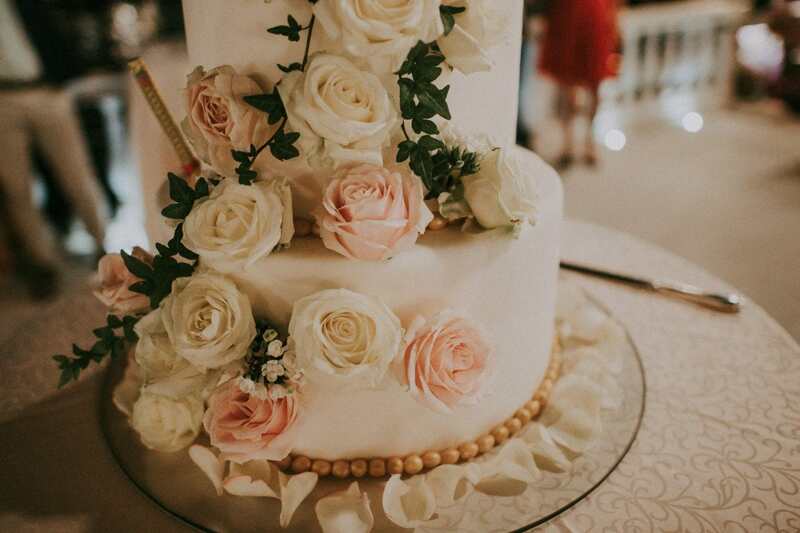 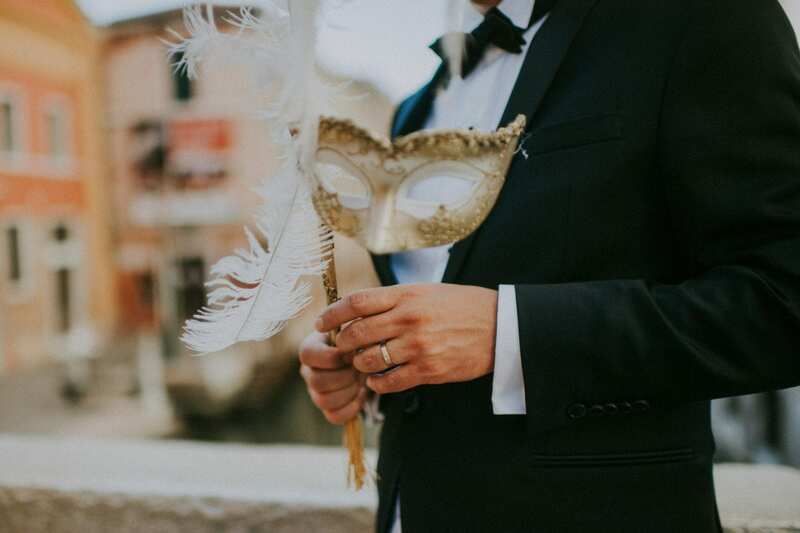 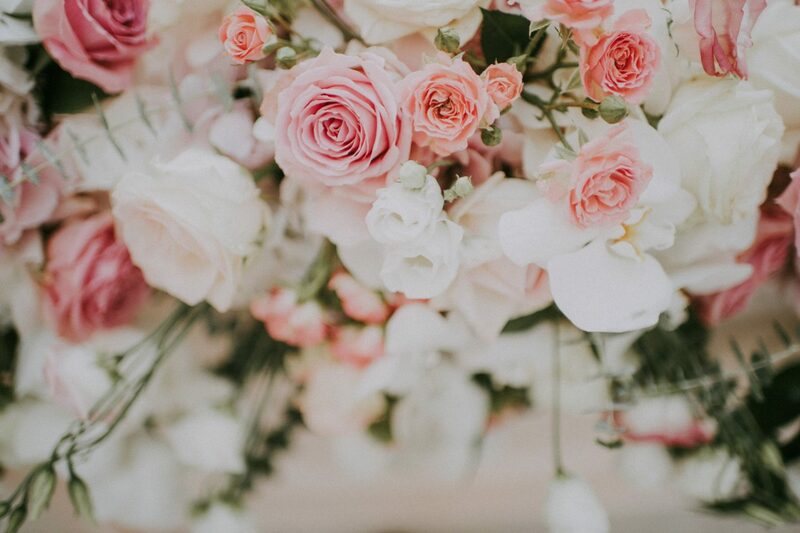 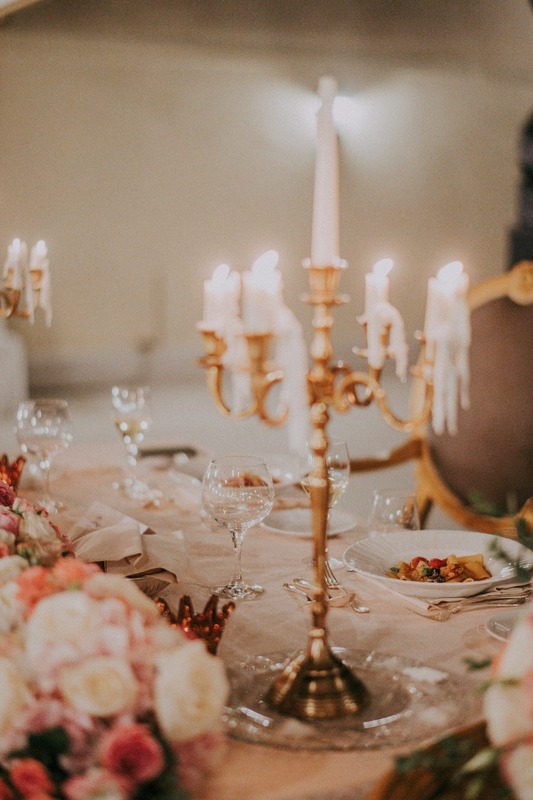 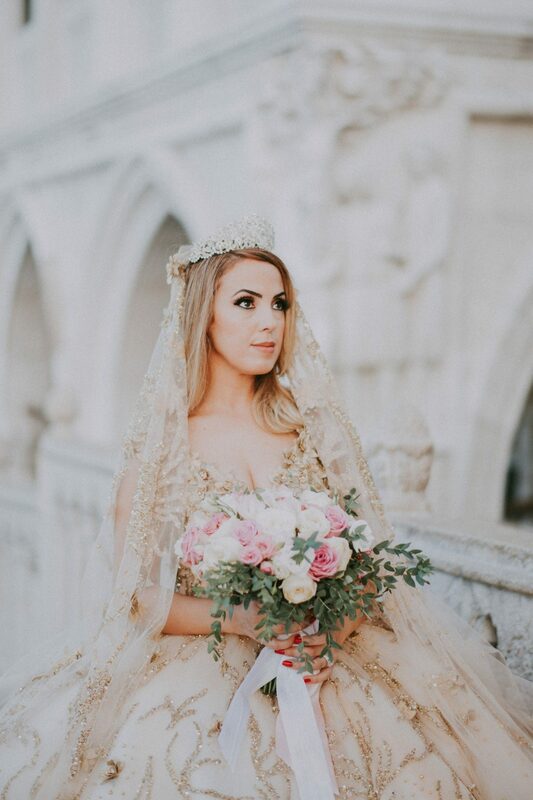 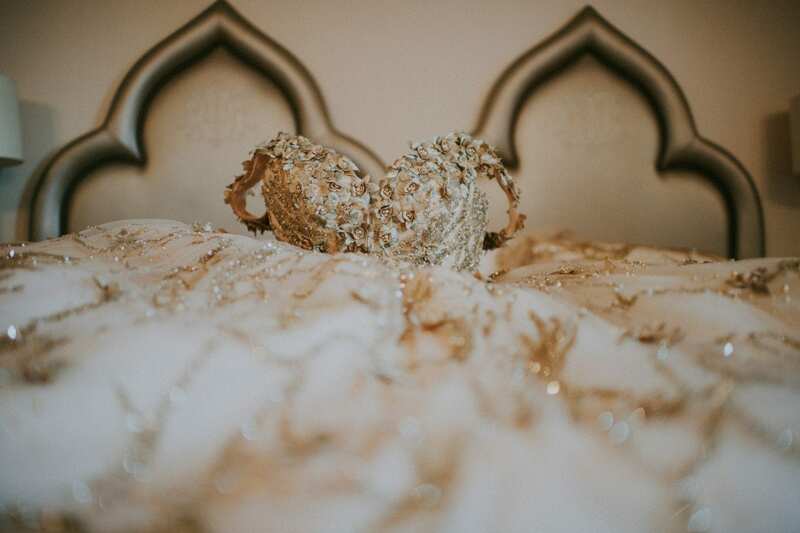 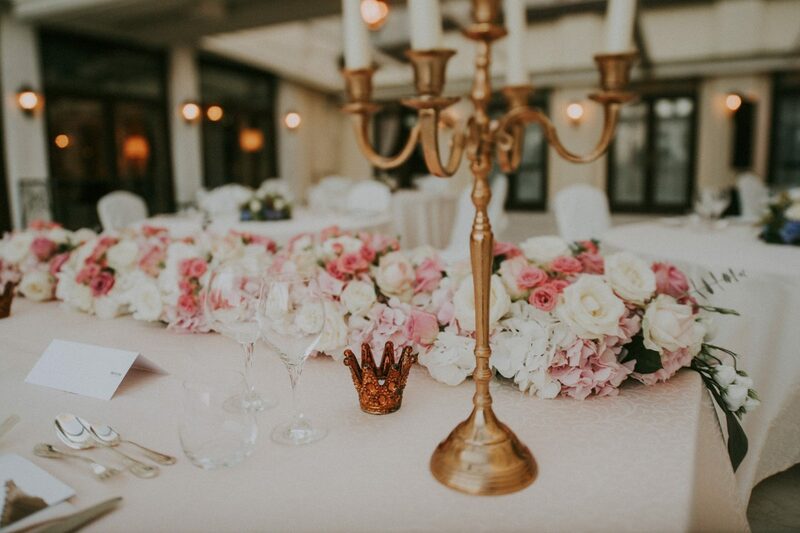 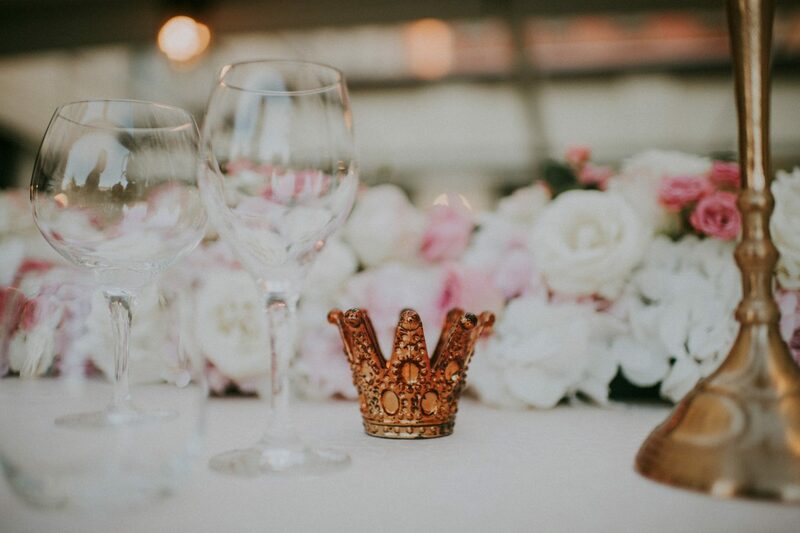 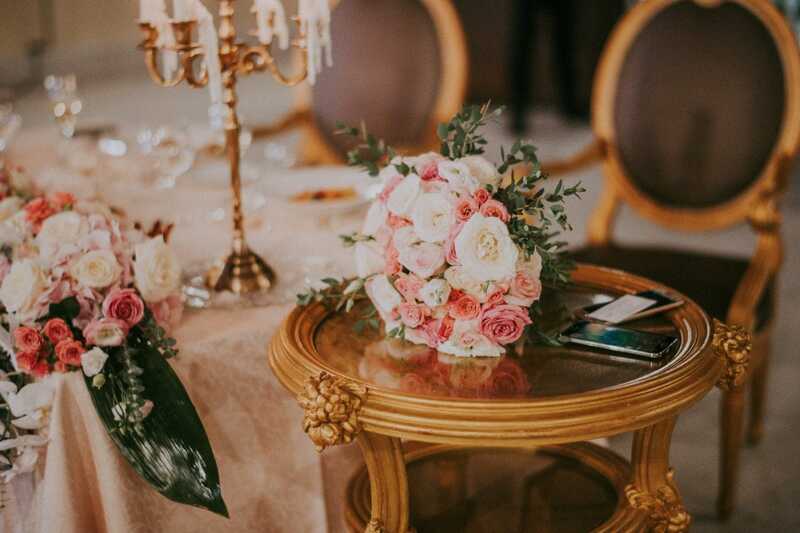 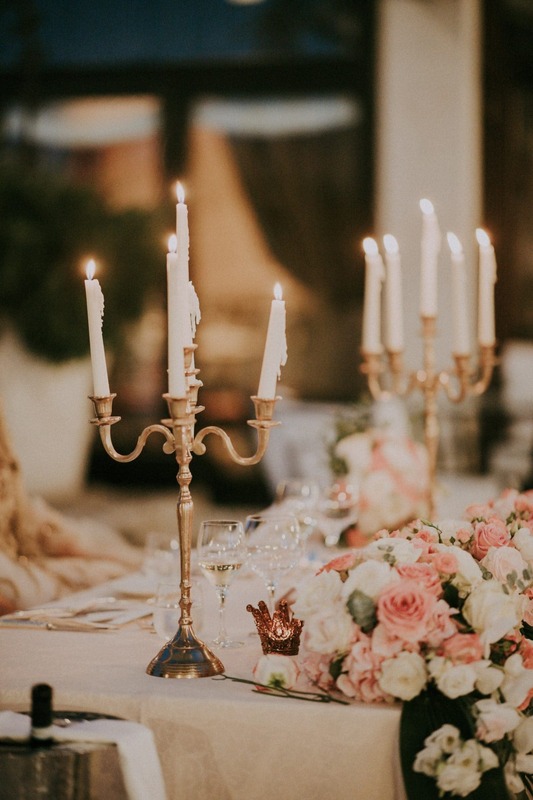 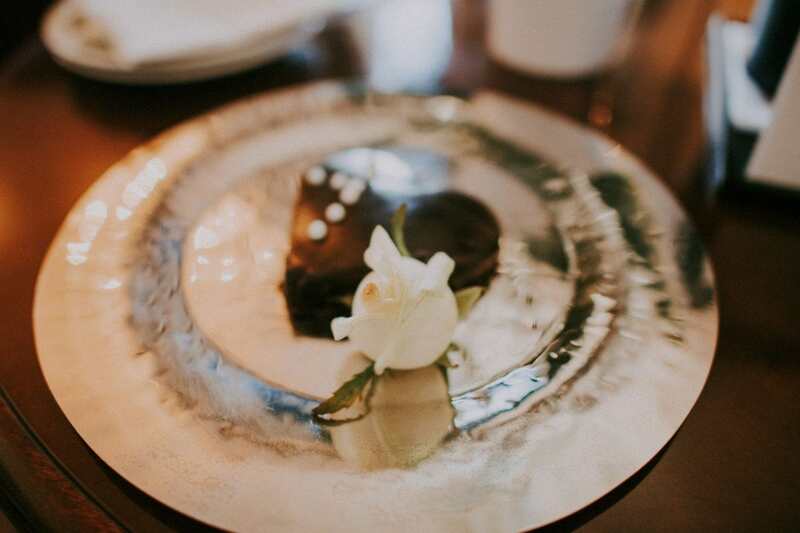 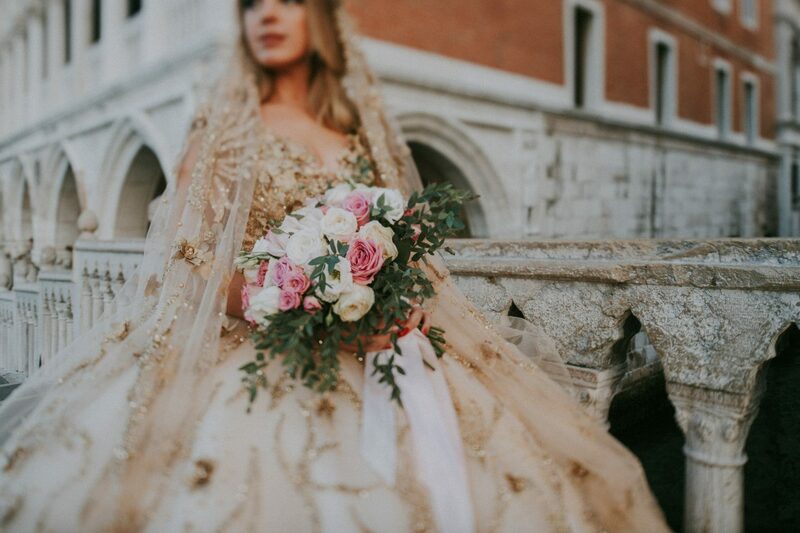 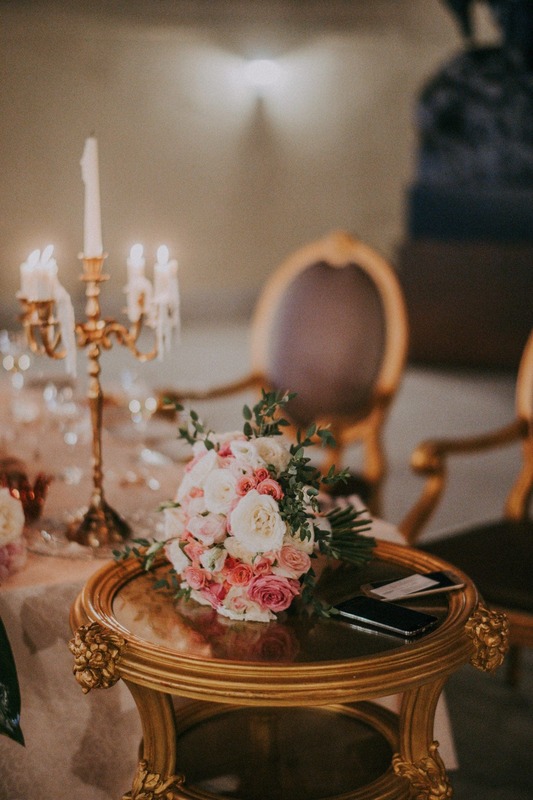 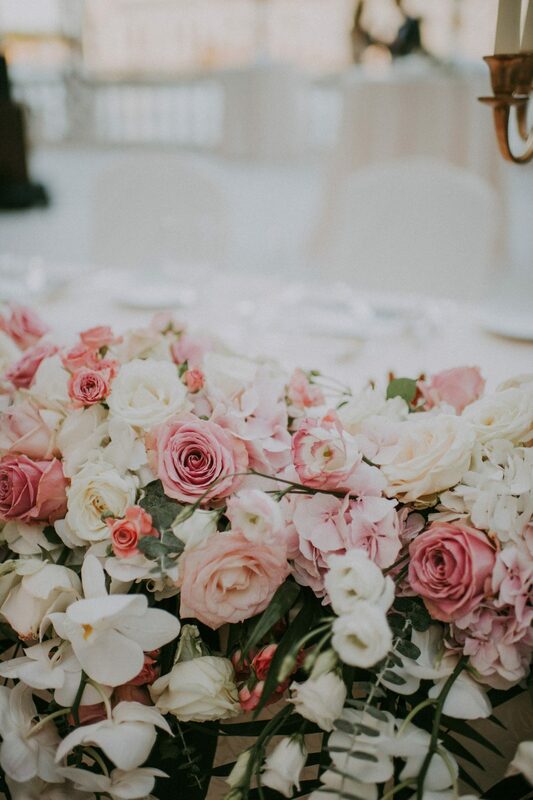 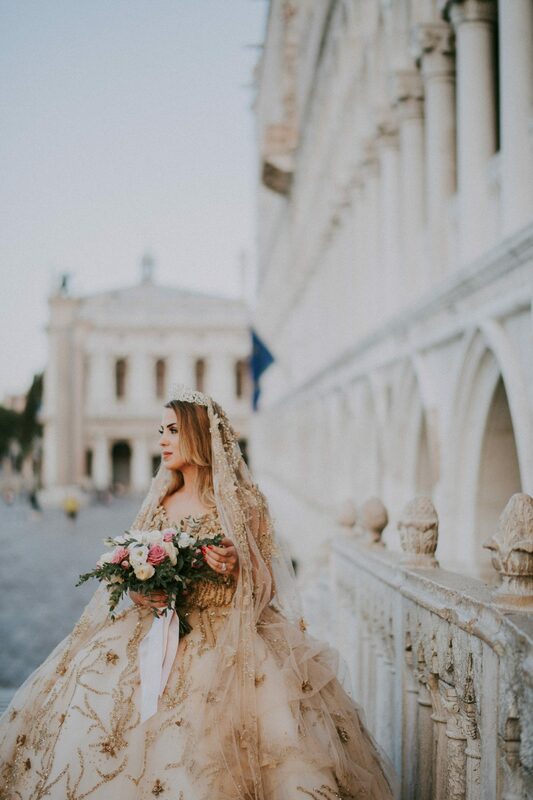 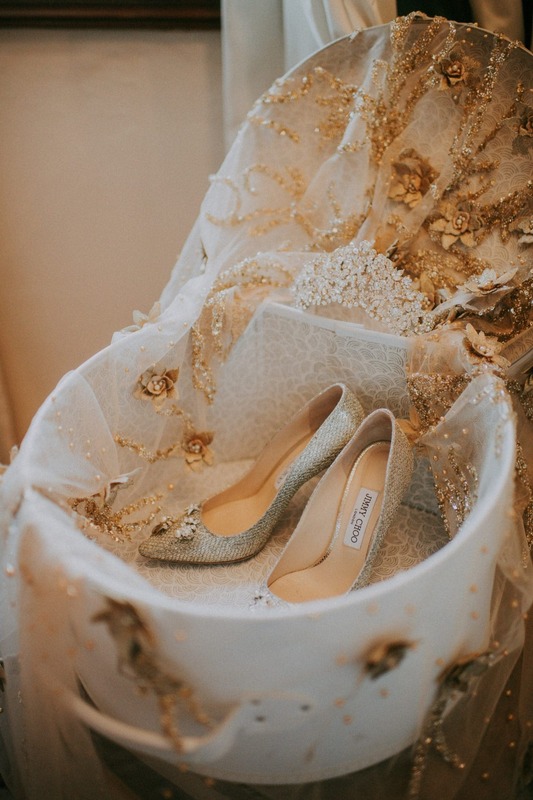 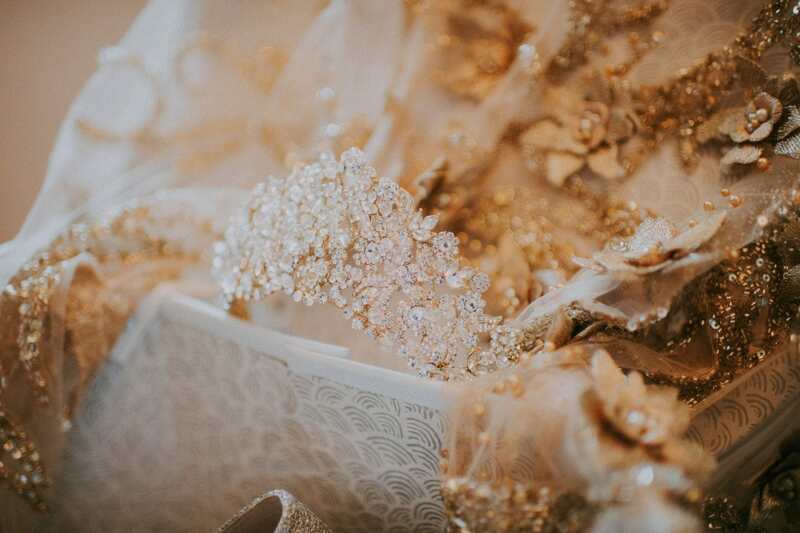 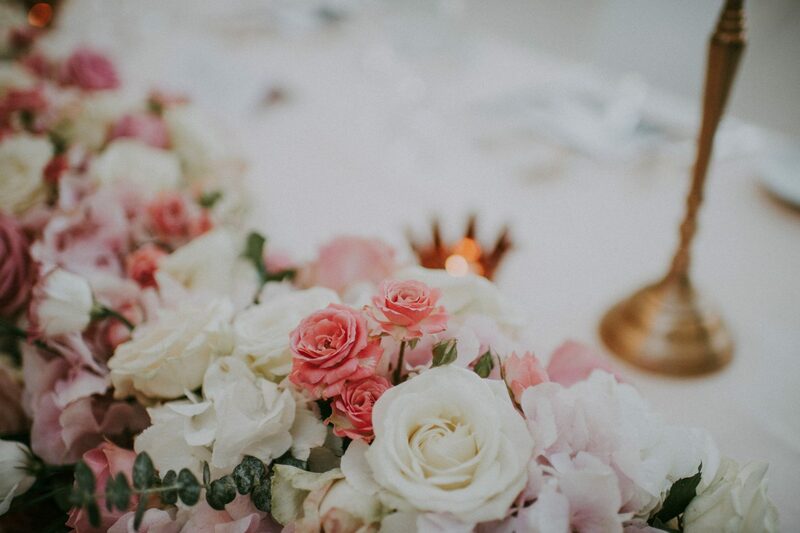 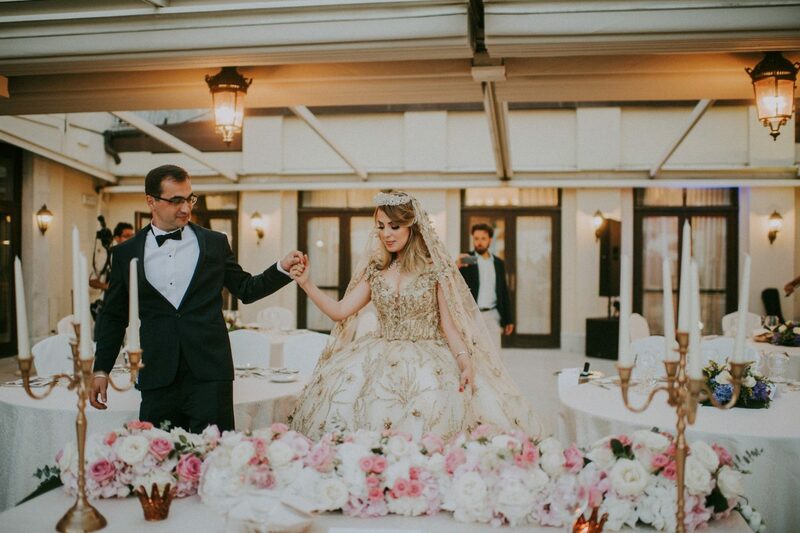 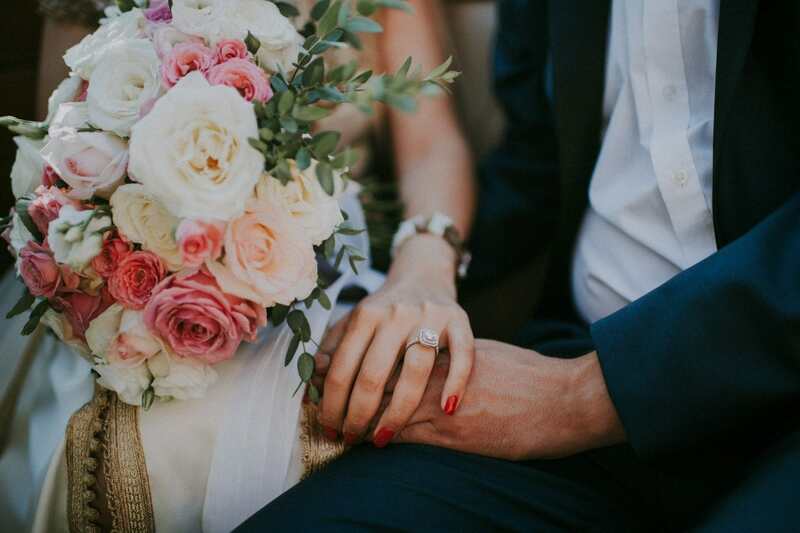 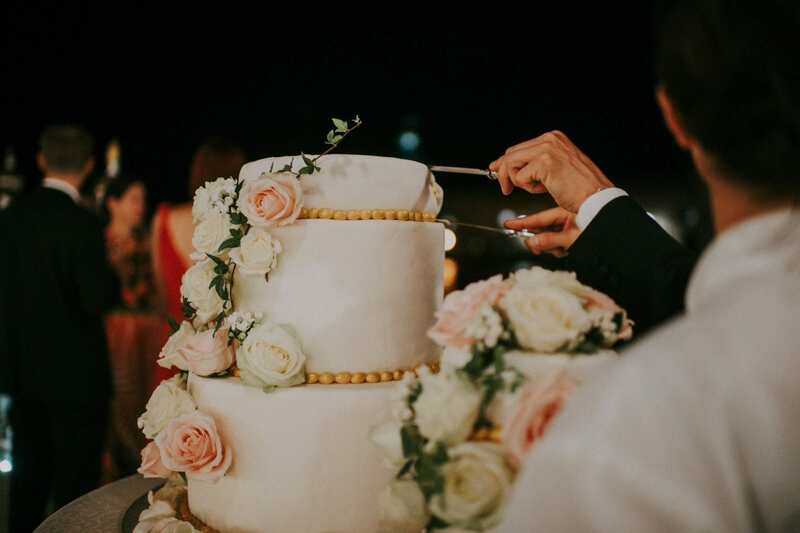 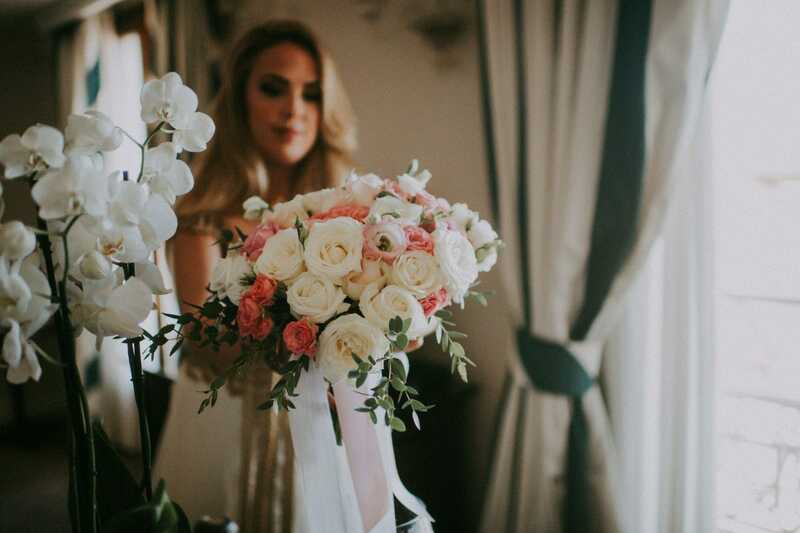 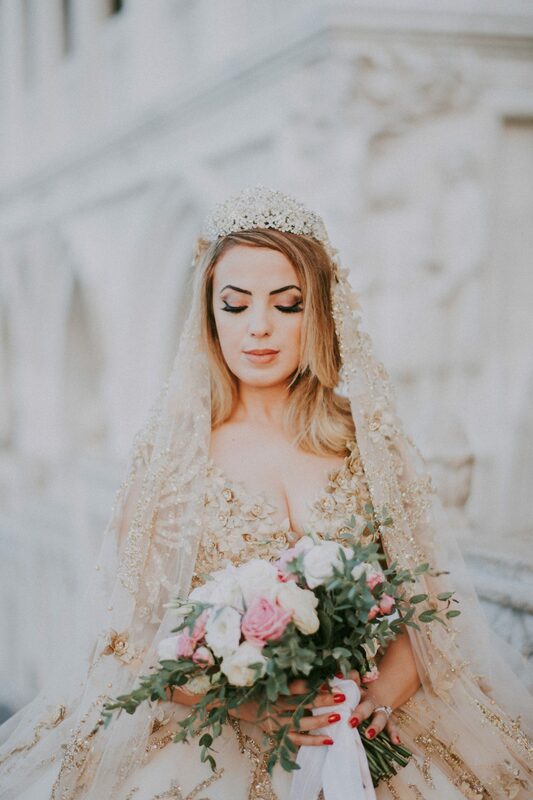 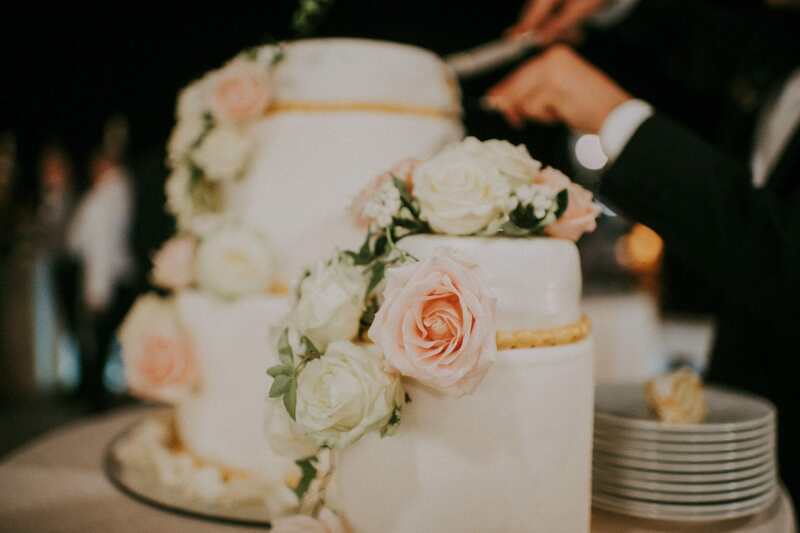 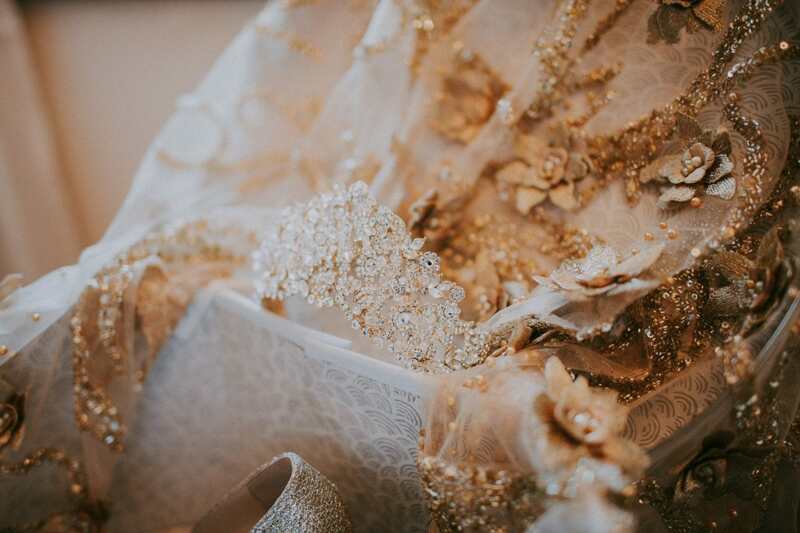 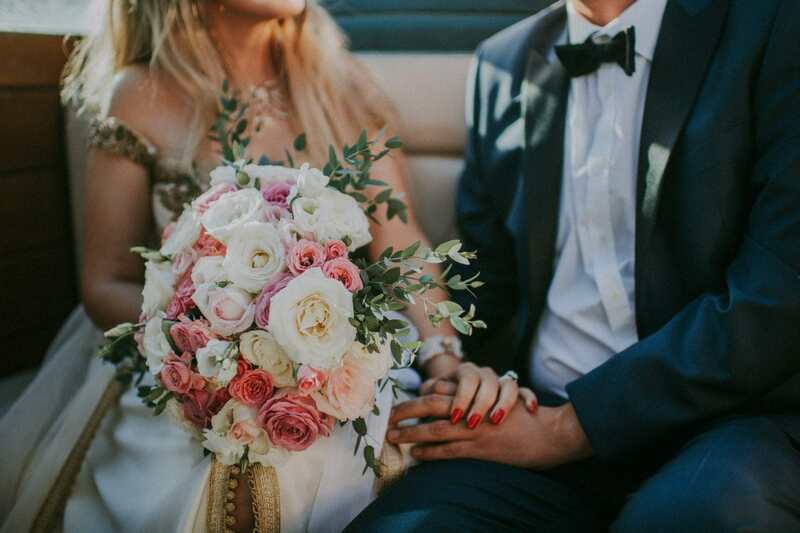 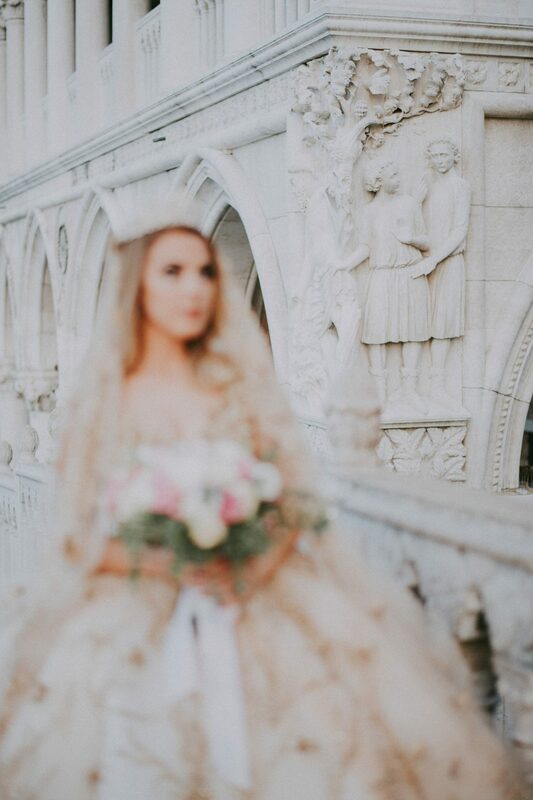 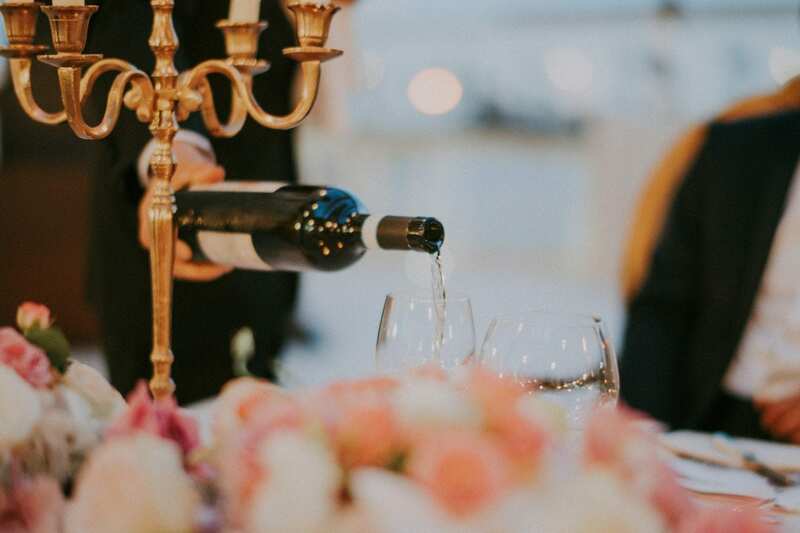 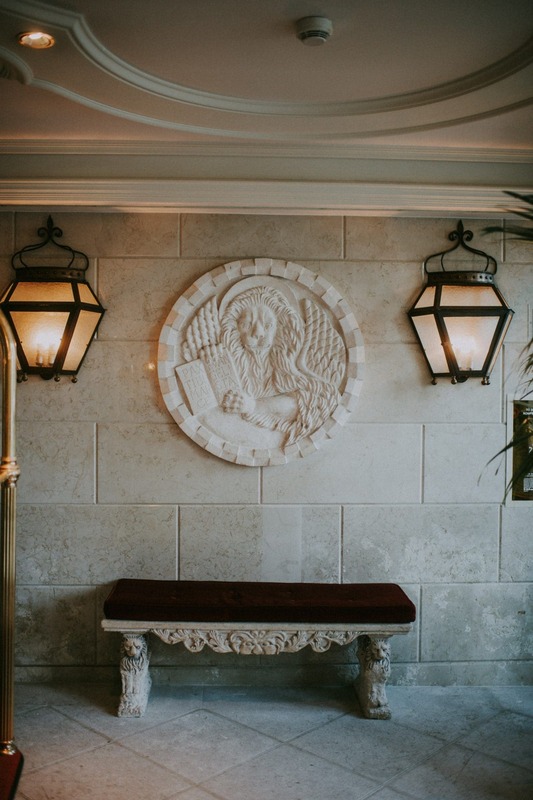 When she came back to the terrace, she showed herself in a breathtaking golden wedding dress, a very long golden veil with and a brilliant tiara. 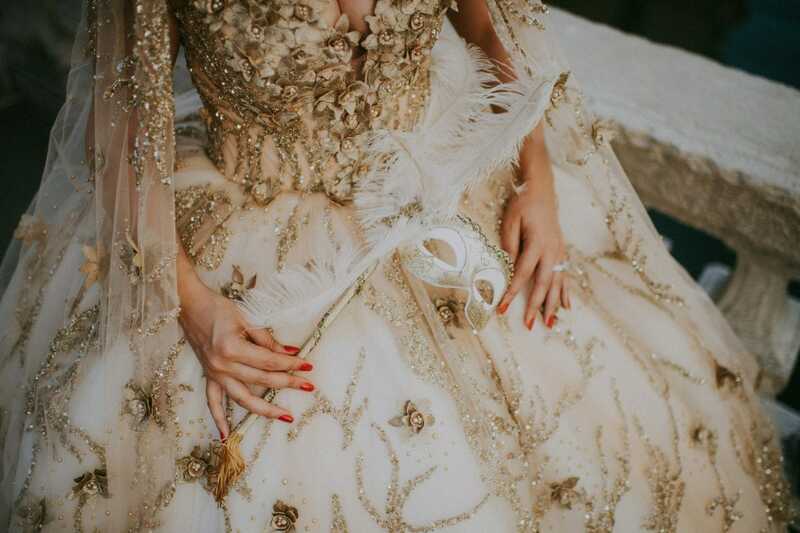 She looked like a stolen princess from an old fairytale. 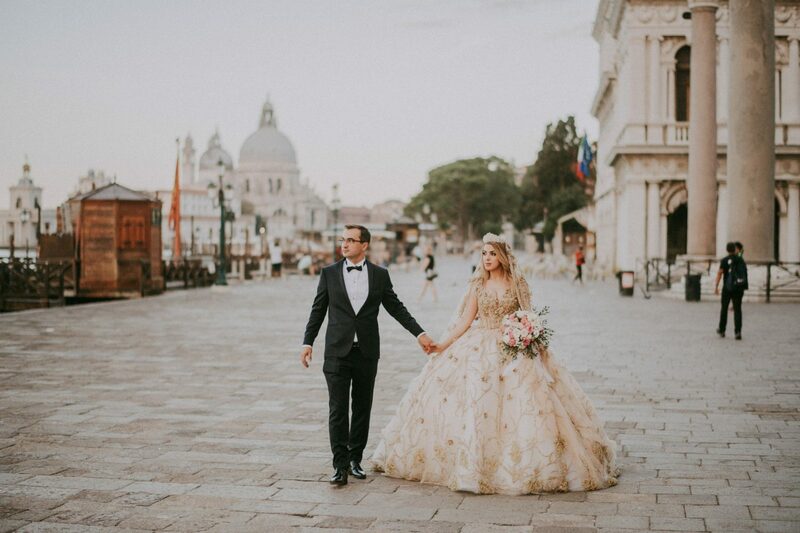 Their initial idea was to have the have a photo shooting by night, right after the wedding party. 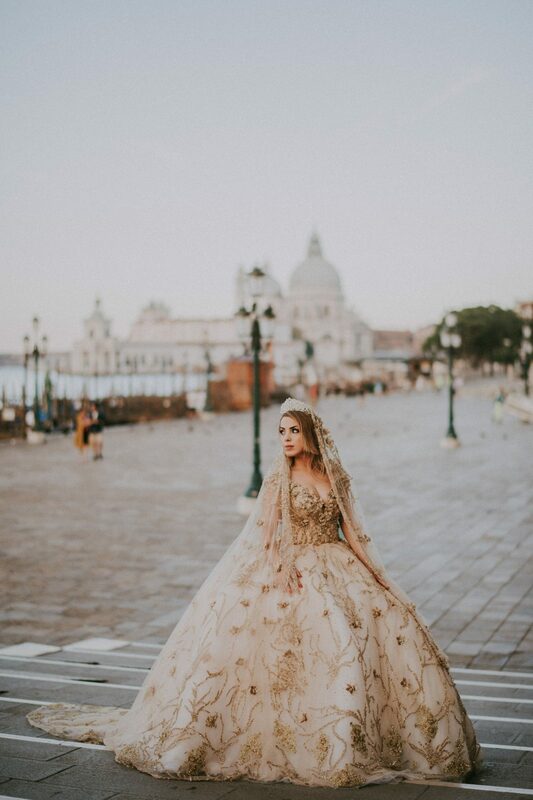 With such amazing dress, the next morning shooting turned out to be like a dream.